A complete List of Restaurants and Best Dining in Gujranwala Pakistan with the menu, prices, location, map, address and contact details. You can also check public and customer reviews here before reserving your Restaurants in Gujranwala. In this list, you can find the best restaurants in Gujranwala, there are lots of popular restaurants in Gujranwala which are best known for their services, seating capacity, hygienic atmosphere. You can also find the best restaurants in Gujranwala for your meetings, groups parties, hangout, dates, birthdays, weddings, father's and mother's day, even for your anniversary. 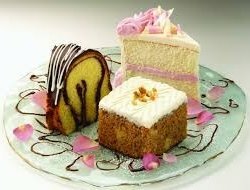 Younas Bakery is serving very good quality of delicious bake items. The food is very hygienic and affordable. Tayyab Iqbal Hashim restaurant is well known in town for their delicious Pakistani food. The price packages are very reasonable. Shalimar restaurant is famous for its tasty Pakistani food. The environment of the restaurant is very nice and the price packages are also very reasonable. Pizza club is serving good quality of pizza along with taste and the price range is also very affordable. Pao Cold restaurant is serving good quality of Chinese food to the public in very reasonable price packages. Lasania Restaurant is well known in the world of Pakistani food. The environment they provide to the customers is very pleasant. King pizza service road is another branch of this restaurant. The quality of food is not at all questionable. Highway Grill restaurant is serving wide and delicious range of Pakistani food along with hygiene and pleasant environment. Gujranwala Broast and Restaurant is well known for its BBQ and Pakistani food range and their mind relaxing environment. Chicken Dabu is famous in the city for its wide and delicious range of Pakistani food along with good environment. Bismillah Restaurant is famous for the delicious Pakistani food. The environment is also very mind relaxing. American Bakery is well known in town for its delicious baked items. The price range is also very reasonable. HFC has a unique taste in fast food chains among Gujranwala city. They are providing some excellent food with great quality and taste. A well known restaurant across Pakistan, with variety of food and quality staff. Usmania Restaurant gives a very good experience for the food lovers. Sialkot Sweet is very famous in world of sweet mart shops they serve wide range of delicious sweets in very reasonable prices.